Are pink skirts and Hawaiian shirts required attire for men cycling in the Netherlands? How does one get into a Sinner mango elegantly wearing a tutu? 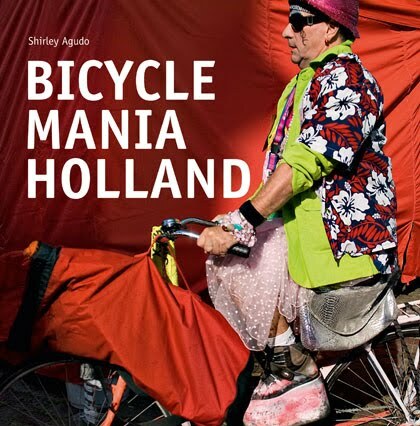 I was a bit surprised to see that the book's website shows naked Dutch cyclists in an urban setting. Presumably this was not a protest about safety and vulnerability like the naked bike rides in Britain and the USA? The Dutch Naturists Association having a day out? I was a bit surprised to see that too. I've yet to spot a naked cyclist here myself - perhaps I just ride in the wrong places ? It might have been helpful to explain that most of the photos in this book were taken in Amsterdam. And Amsterdam is NOT representative for the Netherlands as a whole :-). In every respect. see this report in English.